operated by Tom Pine and Kathy (Pine) Close. Our family has been providing quality commercial printing to Troy and the surrounding area since the late 1960's. 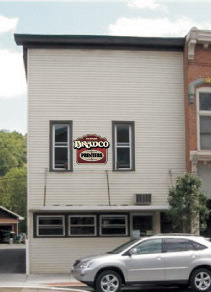 Formerly a division of Troy Gazette-Register, Bradco Printers is now a business that stands on its own assisting customers with quality printing and speedy service. Call (570) 297-3024 or email bradcoprint@epix.net today.